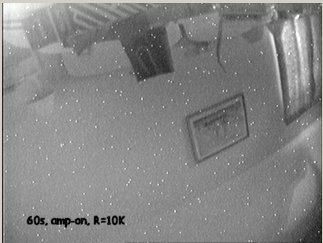 Below are two test exposures, one with the amplifier left on, and one with it switched off. 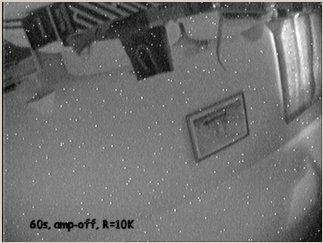 The images are (upside down) pictures taken in a room lit by a couple of LEDs, a digital clock, and moonlit curtains (which appear quite bright in the image. It is very obvious that disabling the amplifier has significantly reduced the fog caused by electroluminescence.